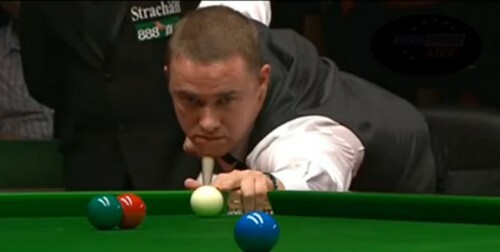 Welsh Open Day 2: Stephen Hendry produced a fine performance to stun Neil Robertson, the new Masters Champion by 4-1. The seven-time World Champion dropped out of Top 16 this season, winning one qualifying match to set up a clash against Neil Robertson in the first round. Hendry made a maximum break here in Newport last year against Stephen Maguire in last 16, seemed that playing Newport helped Hendry to bring his best. Hendry took the first frame with 62 before the new Master Champion made a total clearance of 135 to level 1-1. 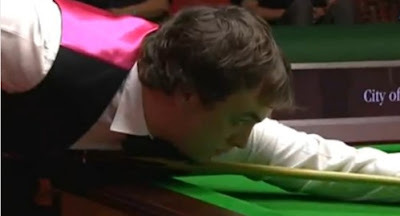 The following frame was full of tension with Hendry doubling a respotted black to take the important frame and lead. The long pots of the Scot were magnificent today, which helped Hendry to take the initiative, winning another two frames with 67 and 86. Hendry beaten Robertson by 4-1 to play the winner between Mark Allen and Ken Doherty next. "I haven't had much success against the top players in the last few years," admitted 43-year-old Hendry. "I just played well, and when you do that you can compete. If you don't you've got no chance. Asked about the prospect of a possible quarter-final against fellow veteran Steve Davis, who knocked out Ali Carter yesterday, Hendry added: "We'd both have to win one more match first. But it would be fantastic!" The World Number One and Two won their first round matches today in deciders, both coming from 2-3 behind. Mark Selby upset the 23-year-old Sam Baird, who led 3-2 but missing the blue when needing pink to win the match. Baird had runs of 59, 64 and 85 but still lost as he struggled in the later stage of the match. The Leicester man said he was struggling at the moment and admitted that Baird played better than him. The Welshman Mark Williams struggled today as well, coming from 2-3 behind his opponent Andy Hicks to win 4-3. 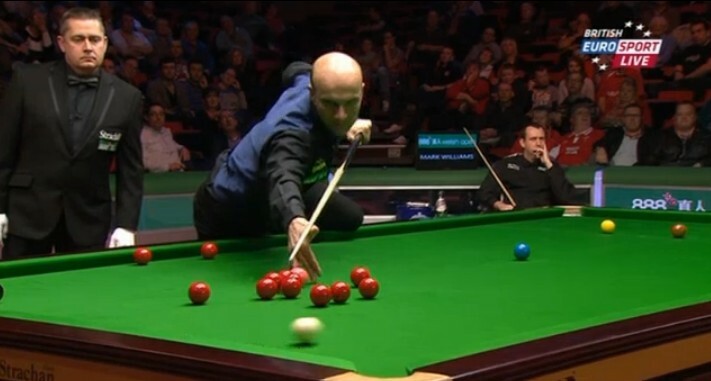 He will play Ronnie O'Sullivan or Marco Fu in the last 16, "It was a get out of jail free card today but if I play like that again I'll go straight to jail. I hope I play Ronnie next because it will be a great occasion with a big crowd. That's the kind of match I like to play. But on today's form I couldn't beat Gilbert O'Sullivan." Stephen Lee defeated Michael Holt by 4-1 to meet Tom Ford in the next round while Stuart Bingham saw off Mark King by 4-2. Martin Gould sent the 2002 World Champion Peter Ebdon home by 4-2.